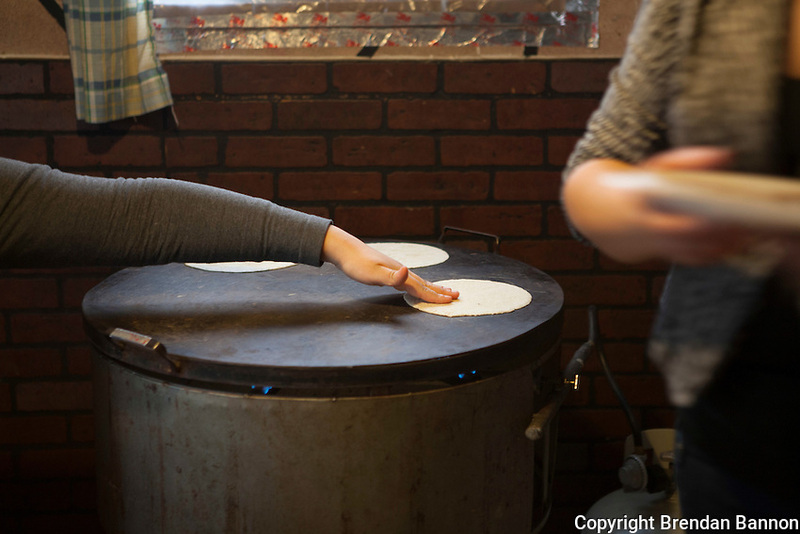 Esperanza Moctezuma prepares dinner for her family in Painesville, Ohio. March 25, 2014. Photo by Brendan Bannon.